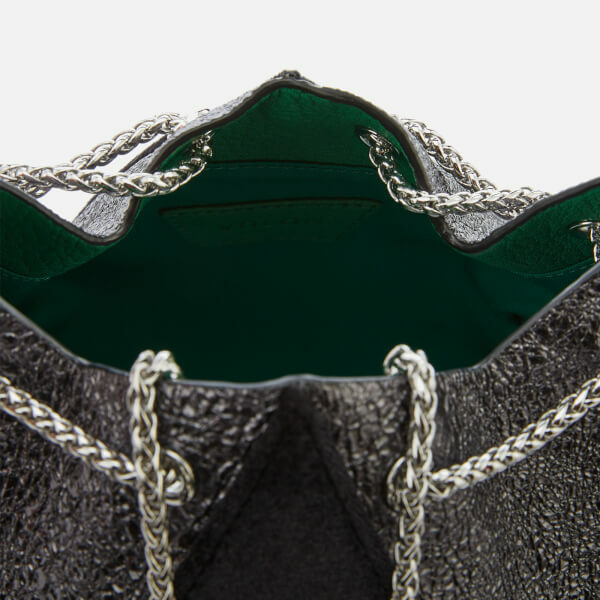 The ‘Cindy’ handbag from Seoul-based bag brand The Volon is inspired by Chinese lanterns and Cinderella carriages. 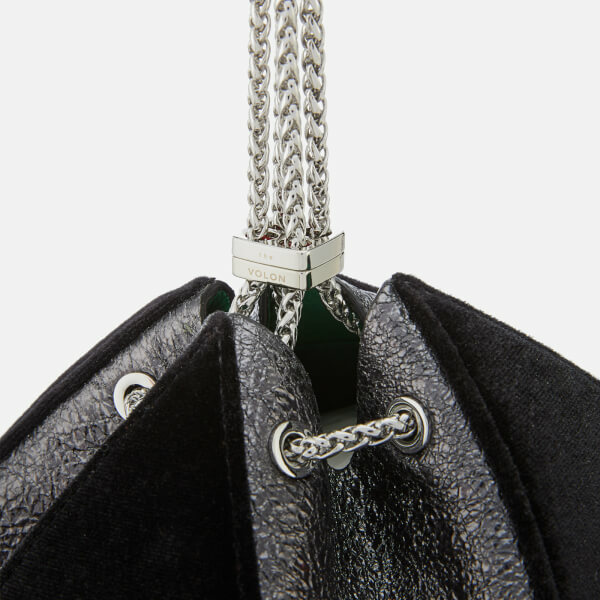 Crafted with triangular panels of plush black velvet and metallic-effect cracked leather, the spherical pouch opens with a chain drawstring which doubles as carry handles. 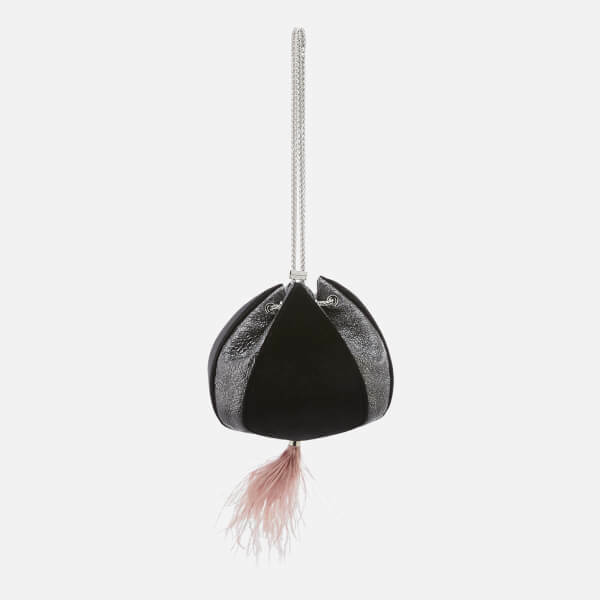 The compact, lined interior provides storage for small valuables, while a soft pink ostrich feather to the base offers a luxurious finish. Dimensions: H: 15cm x W: 16cm x D: 16cm. Handle Drop: 22cm.